Van-Tech would like to thank everyone who attended Camper Mart, it was a great day and a fantastic way to start off the 2019 VW show season! 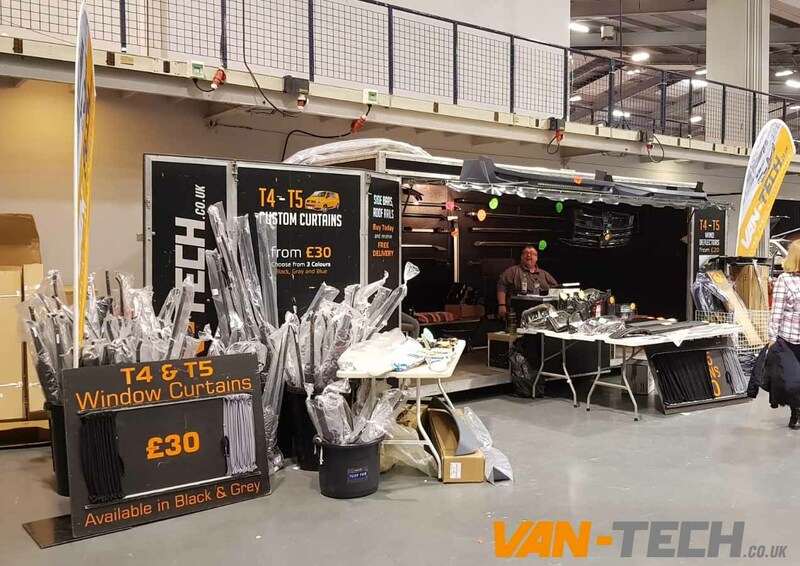 Van-Tech sold a huge selection of products for VW T4, T5 and T6 including Alloy Wheels, Side Bars, Roof Rails, Lights, Curtains, Alloy Wheels, Chrome Accessories and much more!!! We aim to process any orders taken at Camper Mart and have them shipped out early this week! Follow us on Facebook and Twitter for some great deals! Van-Tech Supply and fit accessories for VW Transporter T4, T5 and T6 including Side Bars, Roof Rails, Alloy Wheels, Bumpers, Splitters, Curtains, Spoilers, Head Lights and much more. Van-Tech offer a fitting service at our purpose built fitting centre located in the West Midlands. To enquire about fitting costs and availability or call 0121 550 4628.